Raychil stared ahead at her hand and arm, twisted in front of her. “That’s definitely broken,” she thought to herself and gratefully noted she couldn’t feel any pain. She’d signed up for the field trip to get away from University. Mineral deposits in an asteroid belt were of huge industrial interest and, given the location, needed to be screened for archeological interest first. It meant she could get away from students for a few weeks – and away from that apartment. It had been a year since the sham funeral. Losing your husband to an alleged space pirate raid on a relay station meant there was nothing to bury. A year later and she was tired of being the Widow Academic. “Widow” felt old and strange. So rather than spend the anniversary surrounded by a frenzy of campus youth, she’d decided to go into space and dig something up. Staring at her broken arm and several severed fingers, she quietly noted that she’d probably never lecture again. The expedition ship had been boarded. She remembered that. Tall men in white-silver suits, bare hands, and material pulled tight across their faces forced the airlock. She had been restrained when she tried to run – she remembered the ticking and whirring of the creatures chest unit next to her head. Cold hands and the faint smell of antiseptic. She and several others were taken for “conversion”. They were strapped into the ship’s surgical beds to which the invaders had attached machinery. There were tubes of green fluid and huge robotic arms baring an array of surgical implements. She remembered a drilling sound. Pain. Then: an explosion. Raychil tried to take in everything in her field of view. She had come round a few minutes ago and quickly realised she couldn’t move. She tried to wriggle a toe – nothing. She couldn’t even turn her head. She could see the tiled metal floor of the ship’s MediBay. One of those tall silver creatures was lying by the wall at the far end – an emerald bile had spilled out and formed a pool slowly oozing across the floor. There was debris – cups, surgical tools, broken glass. The neon lights flickered hesitantly plunging her into occasional darkness. She could hear the wheeze and click of a respirator somewhere in the room; it could have been attached to her for all she knew. The process must have been interrupted by a second attack? Or someone in the crew had decided to blow up their own ship rather than entertain boarders. Then there was her arm, bent at an unnatural angle. One or two of her fingers were missing. She looked at the stub of her ring finger. The golden band still there, flecked with blood. The lights flickered again, she began to feel a rising sense of panic. She was alone, couldn’t move, and stuck on a ship weeks away from the nearest help. She’d starve if she wasn’t already bleeding to death. Then something happened – she felt a sudden wave of calm. Everything suddenly felt still. Her fear seemed to evaporate. There was silence. The light flickered again. And then something knocked on the door of her mind. Raychil couldn’t describe the sensation – the words didn’t exist in her language, but she knew in that moment what it was and what was happening. Before the explosion, a chip had been implanted in her nervous system and it had started running a subroutine. It had one purpose: to complete the conversion. Raychil’s brain had been plugged into the Cyberiad hive mind. She could sense it buzzing in the background – instructions, data, plans. And beneath it all, vast databanks of the Cybermen’s history and experience. Her brain had been enhanced so that she could interact with the basecode – she could send and receive information. But the conversion was not complete. The subroutine fizzed in the back of her mind, demanding she allow it to restructure her limbic system. It persisted for a full hour. It began to give her reasons why she should allow a complete conversion. It told her emotions were of no value. She replied that they were of value to whoever experienced them; they had their own intrinsic value. It told her that even if emotions brought their own value, they also brought suffering. They brought disvalue. It would remove suffering. Then it tried to bargain with her. It said it would repair her body, help her contact rescue, and leave her free-will intact in return for the crew’s bodies. But it was a bad liar. Eventually, the program fell quiet. She waited in mental silence. Raychil couldn’t scream, cry, or move but she would have. She saw him – it was as though she was seeing security camera footage from the Cyberiad’s archives of the space station W3 – the Wheel. He was wearing his uniform. 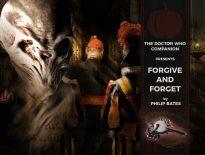 A Cyberman loomed over him; it reached out a three-fingered hand that sparked. Her husband shook and fell to the ground. No pirates. Just a silent metal executioner. Suddenly she was back in the MediBay – the subroutine was active again, chattering and agitating in the back of her mind. She could see her hand ahead of her, the severed fingers. Her ring, spattered with blood. She remembered the letter from Space Agency with the black edging. She remembered how she had felt in that instant. Raychil remembered reading the letter. What learning of his death felt like. The tight pain in her chest. She remembered dropping the letter and gripping the ring on her finger, the feel of the gold, oily and cold on her skin. She remembered thinking that she would never see him, never speak to him again. While memories flooded her mind, the conversion subroutine was ready to enter and complete. The mental barriers she had formed against it were weakening. Death caused humans suffering. The subroutine knew this. Finding a death this human would recognise had been straightforward. And suffering made their minds weak. It gradually began to infiltrate her brain. Then Raychil, the human, stopped existing. The Cyberiad controller became aware of the new unit remotely. Its former consciousness and memories were uploaded and processed. It was a single unit, newly converted on a human research ship in a distant part of space. It was damaged – the bodily conversion only part-complete and heavy injuries had been sustained in a collision. Both legs were missing and it was reliant on an external ventilation. There were insufficient biological resources aboard to make it worth rescuing. The unit was informed, remotely, that it was of no value and to wait for any other instructions until it expired. 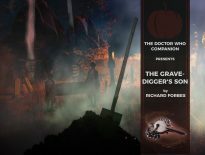 The Cyberman that Raychil had become acknowledged these instructions and waited in silence on the floor of the Dig Ship’s MediBay. It survived for five more years in silence, staring at the floor until the ship was crushed between two passing asteroids. Unknown to the Cyberiad, this conversion had been unlike others. Before Raychil had been absorbed into the network, her enhanced human mind had thought and felt in the same machine language that ran every Cyberman’s brain. When Raychil became like them, something else came with her – an echo of a memory. A memory linked to the feel of gold. The Cyber-wars had been raging for several years. Jeffad had hoped on the beacon they’d be safe from the frontline but the Cybermen had advanced far faster than anyone had anticipated. Now their beacon had been boarded less than half an hour ago and it was everyone for themselves. Unlike the chaos everywhere else, it was quiet this end. A thousand miles below him, the colony world rotated slowly, small explosions rising like dust clouds on its surface. Jeffad crammed himself tighter into the alcove. There were distant screams and crashes on the floors above. He’d wet himself but he supposed it wouldn’t matter in a few minutes. He clutched the newly issued weapon. The Glitter Gun was going to win the Cyber-War for humanity except no one believed that. They’d been briefed. Gold plates their breathing apparatus… apparently. It was all he had now. The thin tube-like weapon was surprisingly heavy – the gold, he supposed. He heard a door whoosh open further down the corridor. He gripped the gun tighter and held his breath. There was silence. Nothing seemed to move. Then a blank metallic face slipped out of the shadows in front of him. Jeffad closed his eyes and fired. The Cyberman was enveloped by a cloud of darkly shimmering gold vapour. The Cyberman had found the last human target for conversion. It was hiding in the corridor, its thermal image standing out clearly against the walls of the corridor. It approached the human and reached out to stun it. The human activated some kind of device and ejected metallic particles into the air between them. The Cyber-mind detected the particles and identified them. Its respiratory systems shut themselves down and the Cyberman died, covered in a layer of harmless gold dust. Across the battlefield, silver giants were enveloped in gold mist. One by one, they registered contact with gold and remembered someone else’s memories. Each let out a rasping electronic scream as they realised they would never see their love again. They all died with one thought: that they could not breathe as they shut down their normally functioning respiratory systems. 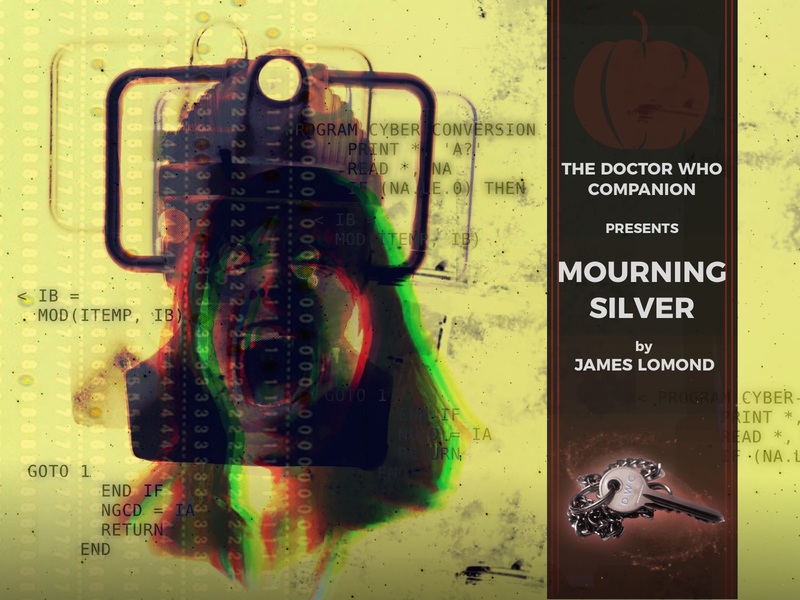 One by one, the Cybermen sparkled and died. Gold, the perfect non-corrodable metal, did nothing. ← Meet The New TARDIS Team: Who is Tosin Cole?